Quartz Crystal Oscillators SMD | QVS Tech, Inc.
QVS TECH INC. has always provided our customers with the highest quality quartz crystals on the market. SMD Crystals are available in a wide variety of low cost, RoHS compliant packages including many with tight tolerances and extended temperatures. Typical applications include Server and Storage, Sonet/SDH, 802.11 WiFi, Wireless LAN, Metering, Time Reference, GSM and GPS. Available in 2 pad or 4 pad packages in sizes including 3×5 or 5×7 and down to as small as 1.6×2. QVS Tech Inc. can do custom frequencies and tolerances. Just let us know what you need in your Request for quote form. QVS Tech understands that customer satisfaction is the key to any business, which is why we pride ourselves in providing high quality products at competitive prices. Whether it is through a consumer friendly website, fast and reliable delivery, or access to our large on hand inventory, QVS Tech Inc. always puts our customers first. 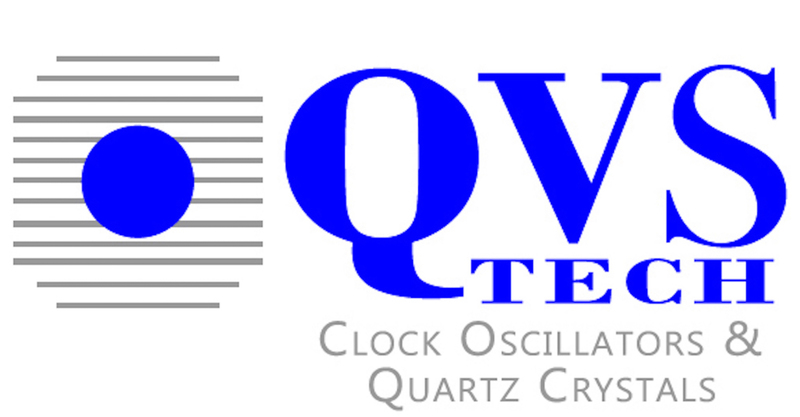 QVS Tech Inc. supplies many different types of crystal oscillators. Both our SMD crystals and thru-hole crystals are offered in several different packages, each with different sizes and frequencies, all at some of the most competitive prices in the industry. It does not matter if you are looking for 2 pad or 4 pad, 3×5, 5×7 or even as small as 1.6×2, we can provide you the perfect crystal for your requirements. Several of our SMD quartz crystals have tight tolerances and extended temperatures because we know that not every customer has the same needs. We have many products that used in applications such as Server and Storage, Sonet/SDH, 802.11 WiFi, Metering, Time Reference, GSM and GPS. Last but certainly not least, all of our crystals are RoHS compliant. For over 15 years, QVS Tech Inc. has been selling high quality, low cost products. View our Facebook page, visit our website, or call 760-929-8677 to receive a quote or to check out our huge catalog, and see why we are one of the top SMD crystal oscillators’ provider in the industry. We receive many questions as to what the crystals in devices actually do. Essentially, the crystal is a thin slice of quartz that is placed between two electrodes. Crystals are used in a number of applications requiring precise vibration frequencies. An electric signal with a very precise frequency is generated by the crystal oscillator. The technology is frequently used in cellphones, computers, wristwatches, clocks, and radio transmitters and receivers. 1) Keeping track of time. 2) Providing a stable clock signal. 3) Frequency stabilization for radio receivers and transmitters. Quartz crystal frequencies have a range that extends from a few tens of kilohertz, to hundreds of megahertz. This all depends on the thickness of the crystal, allowing for a vast number of applications and uses. Quartz crystal oscillators are used in devices ranging from common consumer electronics to specific equipment used to measure and monitor frequencies. SMD (surface mount) crystals are used where the small size of the crystal is of utmost importance, such as crystals used in communications, microprocessors, and watches.